Elyse is an experienced clinician with a passion for helping children, teens, families, adults, and couples overcome life’s challenges. 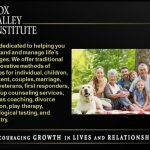 She has had the privilege of working with clients in various schools, private practice, and community mental health settings and she utilizes a variety of therapeutic techniques to meet the needs of each of her client’s. Elyse acknowledges that therapy is hard work and is constantly humbled by the strength her clients demonstrate throughout the therapeutic process. Visit Elyse Wood’s bio page. Elyse approaches therapy with warm and genuine care for others which allows her clients to grow in a meaningful and purposeful way. She recognizes that a safe, trusting, and supportive environment is needed for change to occur, and she creates this environment with her compassion and understanding that her clients are doing the best they know how. Her focus is on working with those who are struggling with anxiety, depression, children experiencing behavioral challenges, relational concerns, low self-esteem, family conflict, and emotional dysregulation. Elyse actively collaborates with each client to overcome obstacles that feel too overwhelming and too difficult to manage on their own. She has a fundamental belief that each person possesses unique qualities and strengths, that once identified, can produce significant change and growth. Elyse is also trained in Emotionally Focused Couples Therapy and PREPARE-ENRICH to help clients achieve a deeper connection with their significant other. She is passionate about empowering couples (dating, premarital, and married) to address areas of hurt, frustration, and disappointments in order to build a happier, healthier, and an overall stronger relationship. By helping clients lay a foundation of trust, which promotes transparency and vulnerability, Elyse helps couples to forgive past mistakes, teaches them how to accept differences, and encourages them to understand their significant other from a new perspective. Elyse received her Master of Arts Degree from Adler School of Professional Psychology and is a Licensed Marriage and Family Therapist. What causes low self-esteem in adolescence? Self-esteem, or how you feel about yourself, will be challenged during the teenage years. Despite the obstacles of this time period, there is great potential for healthy self-esteem development. Psychologist, Erik Erikson, theorized that there are developmental stages we all face throughout different periods of our life. He states that the teenage developmental period is marked by an evaluation of one’s identity and ultimately a decision will be made about who you are to become as a person. This is no easy task set forth for teenagers to accomplish! 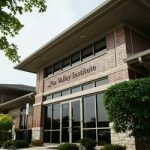 Fox Valley Institute offers individual counseling, children counseling, adolescent counseling, couples counseling, marriage counseling, and family counseling services, as well as psychological assessment, neurological evaluation, life coaching, RRT, the LifeLine Technique, and Christian counseling. 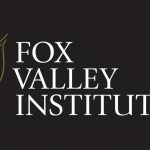 For more information about Fox Valley Institute, please visit Fox Valley Institute – About Us. Dr. Shirley Dorough-Carlson is a Licensed Clinical Psychologist specializing in Child and Adolescent Psychology and has over 20 years of experience working with adults, children, adolescents, and their families. She has successfully worked with adults who struggle with depression, anxiety, relationship issues, divorce, and parenting concerns. Her work with children, adolescents, and their families include facilitating families navigating ADHD issues, school noncompliance, divorce, mood disorders, IEP issues, oppositional defiance, and helping young adults transition into the adult stage of life. Visit Dr. Shirley Dorough-Carlson’s bio page at Fox Valley Institute. The population of children/adolescents she has worked with include both inpatient and outpatient children/adolescents whose diagnoses warranted extended treatment due to developing personality disorders, as well as more brief interventions for oppositionally defiant or less behaviorally destructive children and their families. Dr. Carlson was also involved in the development of an intensive outpatient adolescent program at Christ Hospital. In addition to her clinical work, Dr. Carlson taught Developmental Psychology classes to undergraduate level students. Additionally, she has led parent education classes, teacher workshops, and has conducted staffings with parents and staff in the Cicero school district. Dr. Carlson has extensive experience in multidisciplinary settings and in working collaboratively with parents, schools, physicians, psychiatrists, and other professionals.